Just recently I downloaded the Depop app onto my phone and signed up to it as I kept on hearing really good stuff about it. If you haven't already heard of Depop, I'm sure you have though, then it's basically a website where you can both buy and sell all different items that you no longer want. After having a browse through the Depop app I came across one item that I absolutely loved. It was a side-cross necklace and was priced at just £1.50 and that was including postage aswell, so I headed straight for that purchase button and paid for said item. So there was me all happy that this item was now officially mine as I had paid for it and eagerly awaited my necklace in the post......which I ended up having to wait ages for! I paid for it on the 7th September and only received it last week! 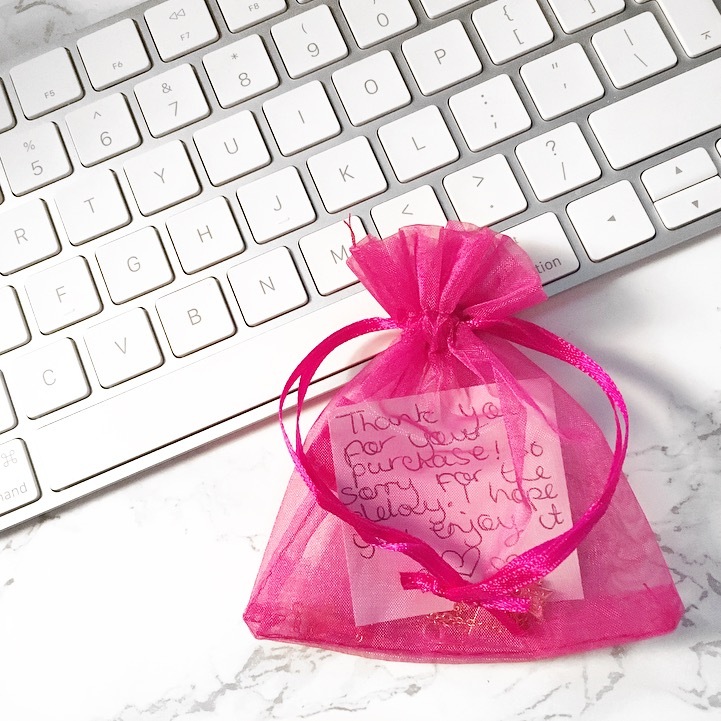 Although there was a little note inserted with the necklace apologising for the delay, I still think if your gonna sell stuff on these sites then you should at least post when you say your going to. So all in all the only downside I had with my first experience of buying on Depop, was that I ended up having to open a dispute to actually receive my item and this was because the seller kept putting off sending it to me. After the dispute was open for 2 days the seller then sent me what I had paid for.